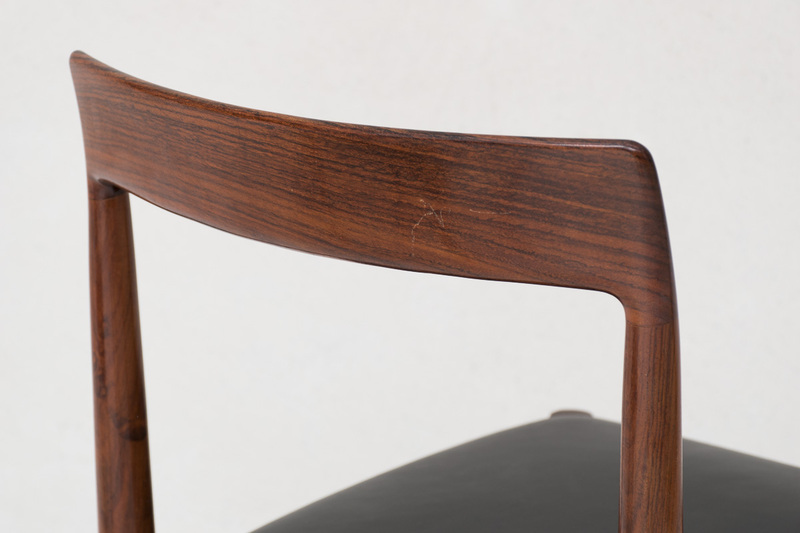 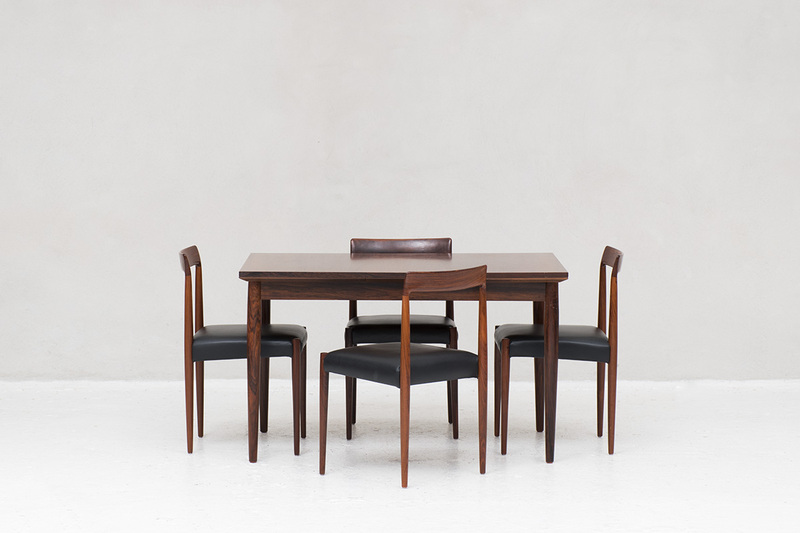 Dining set designed by Lübke in Germany 1960. 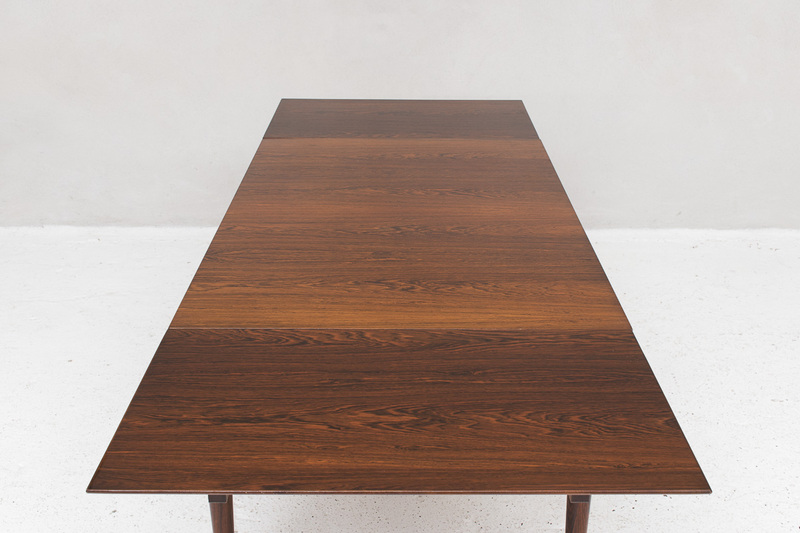 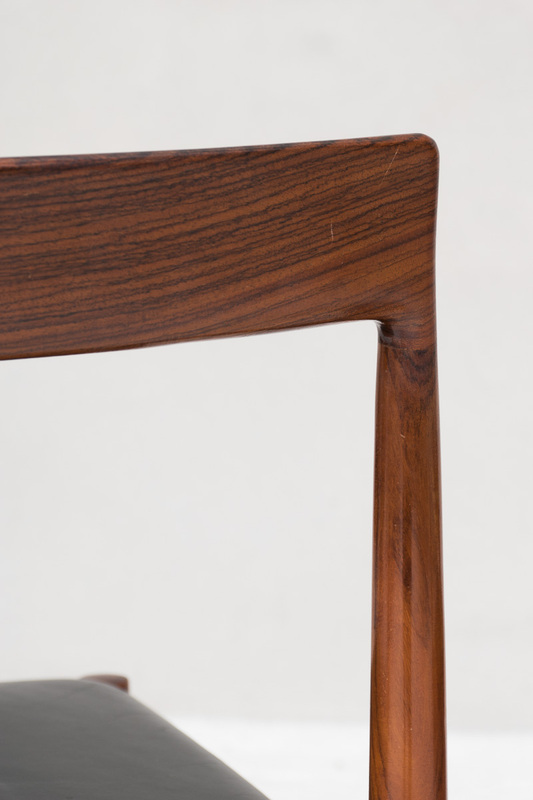 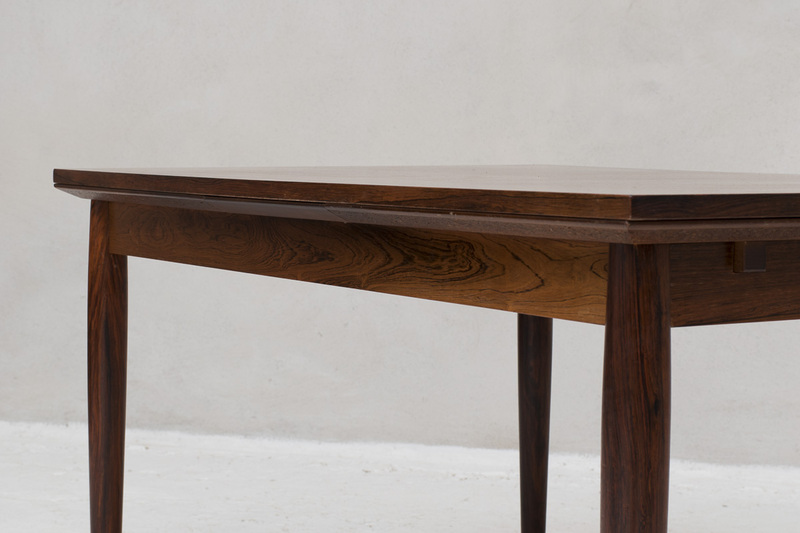 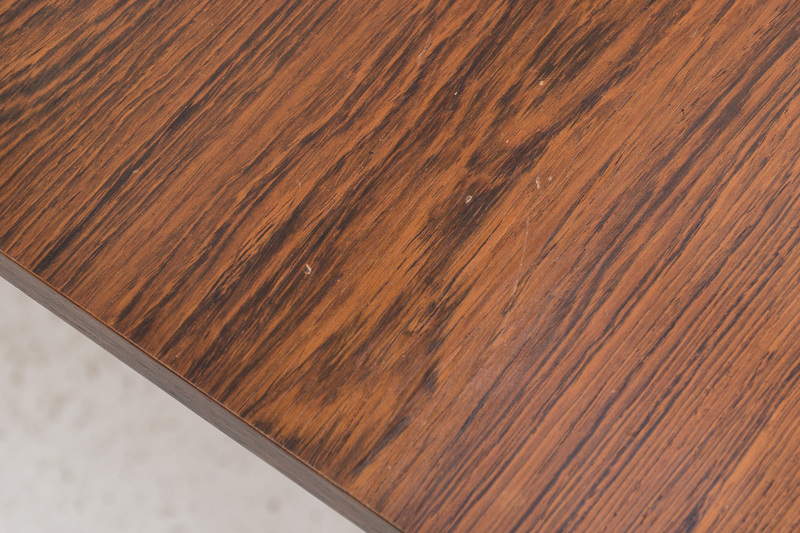 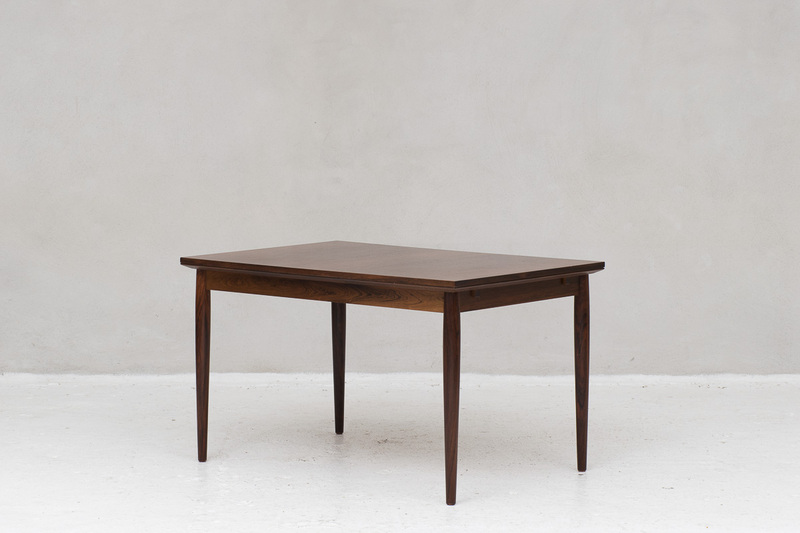 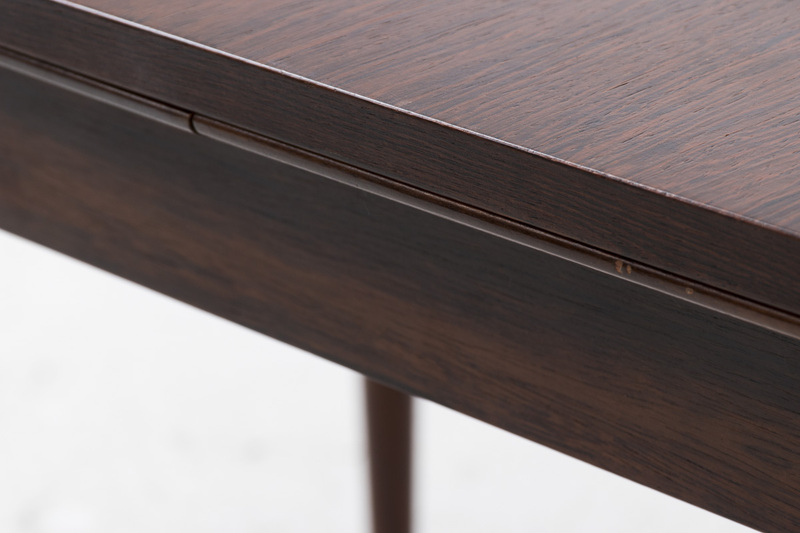 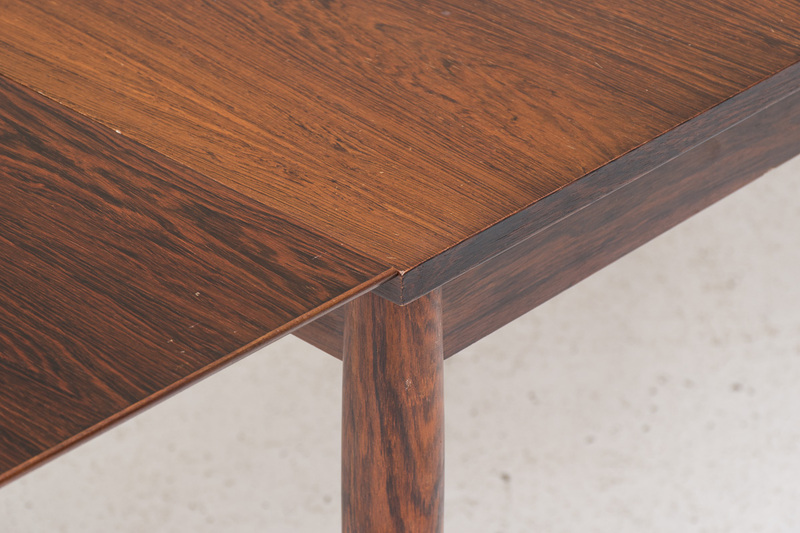 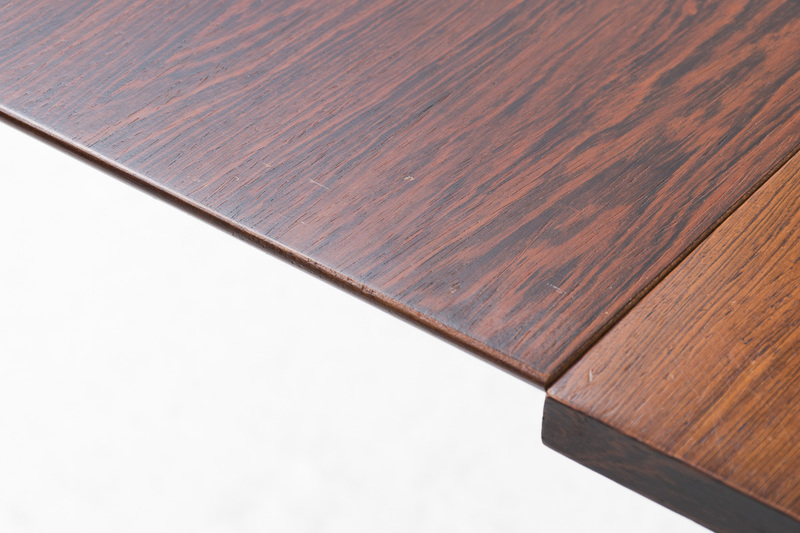 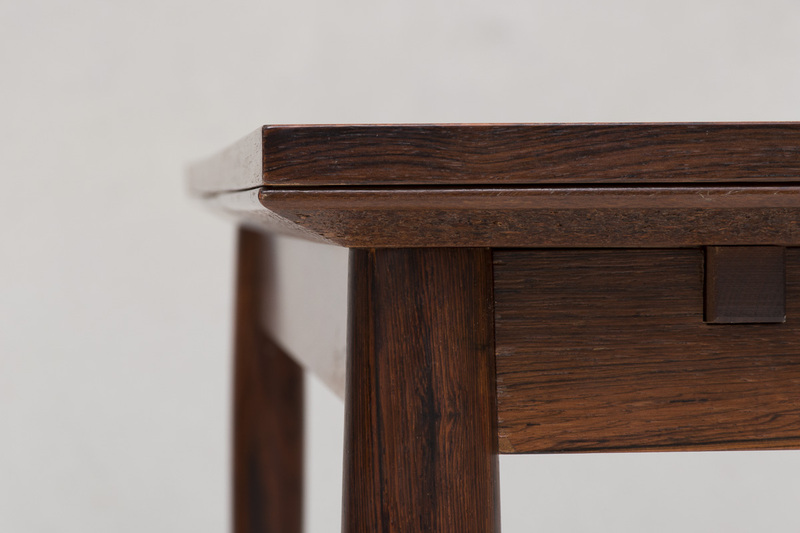 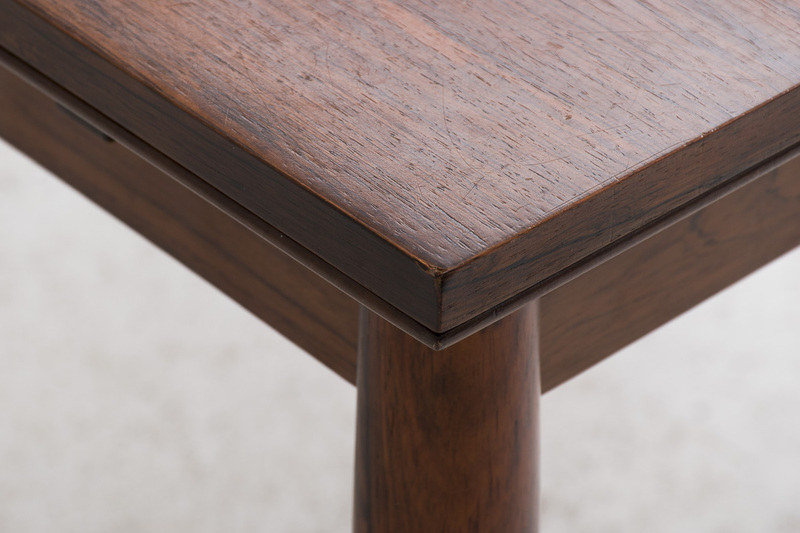 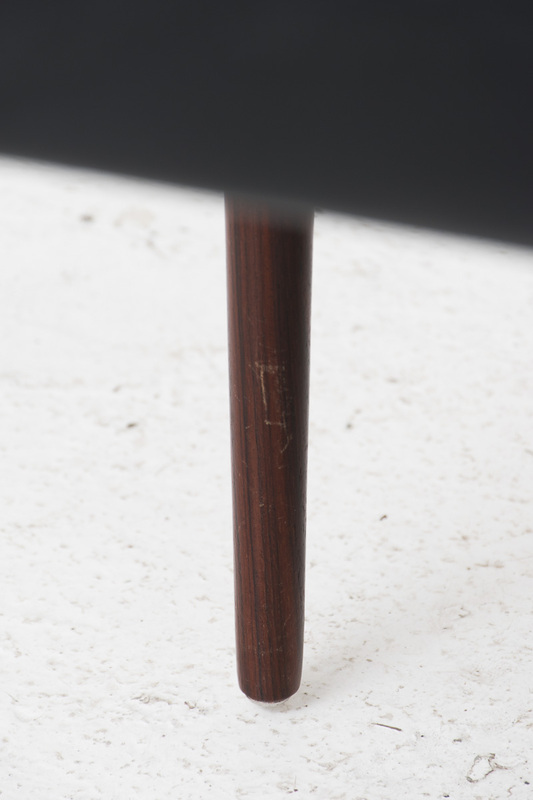 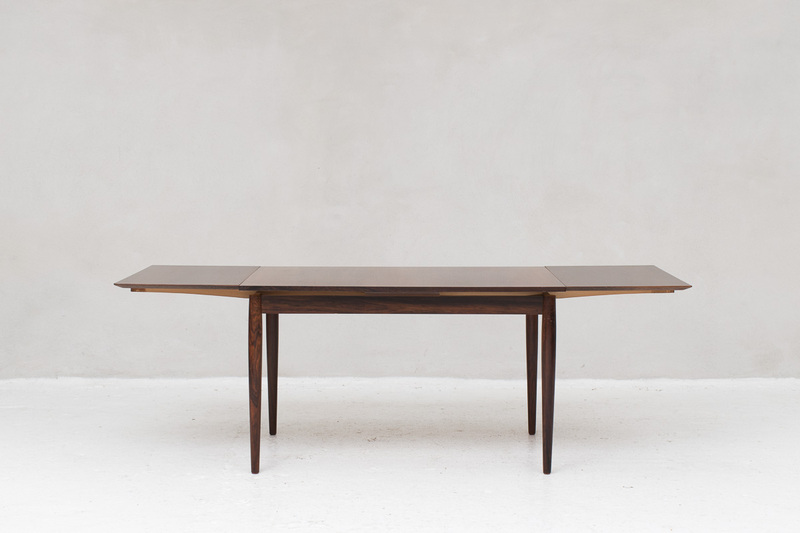 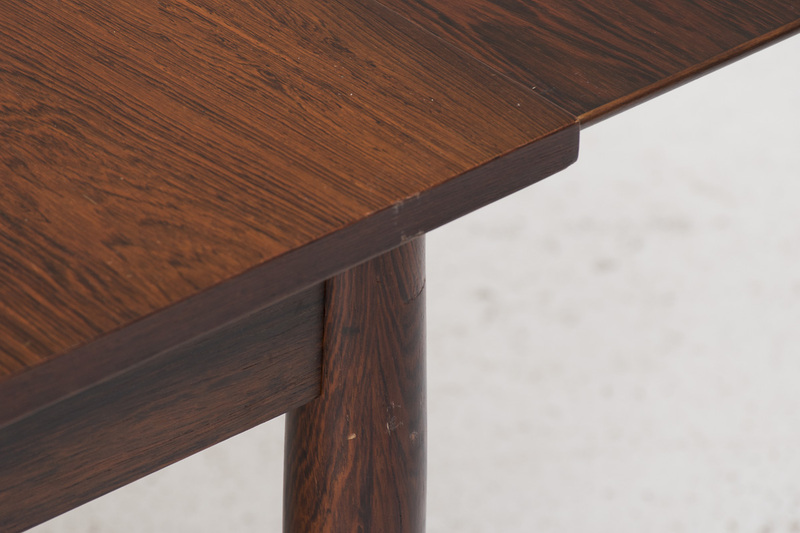 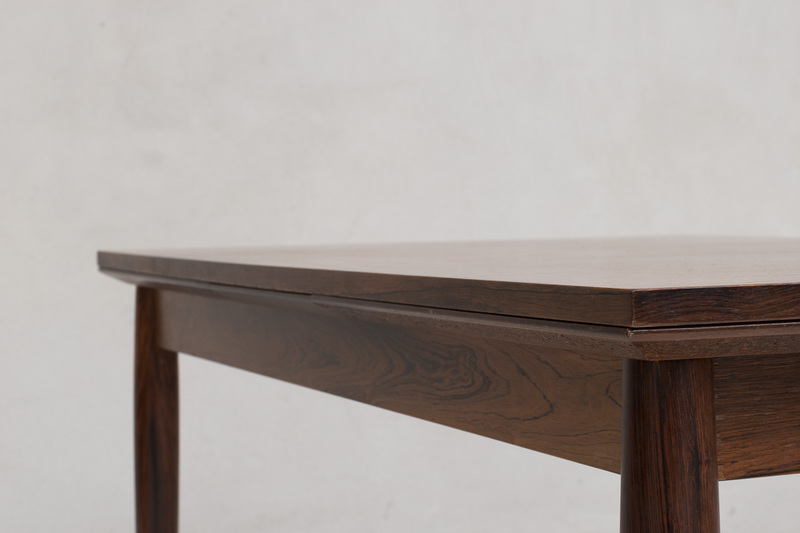 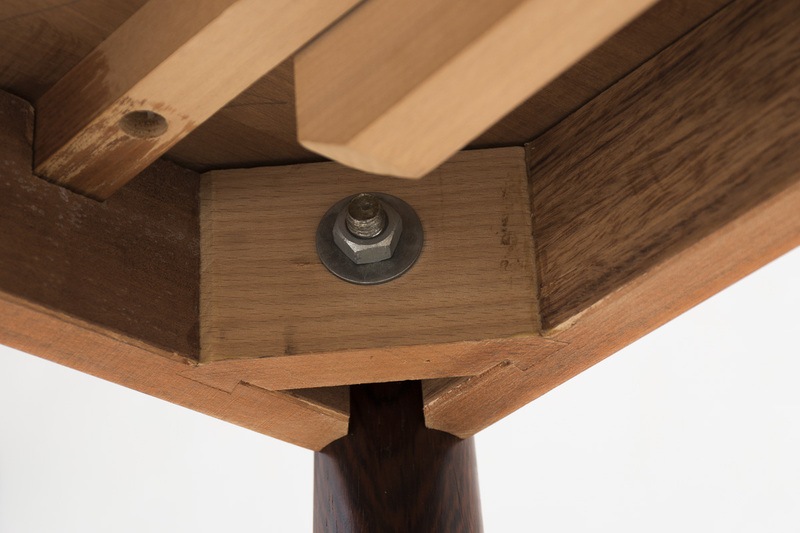 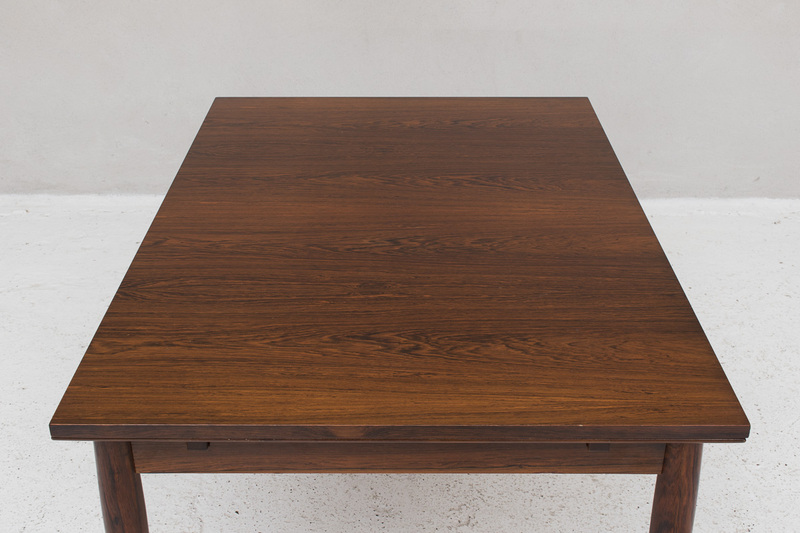 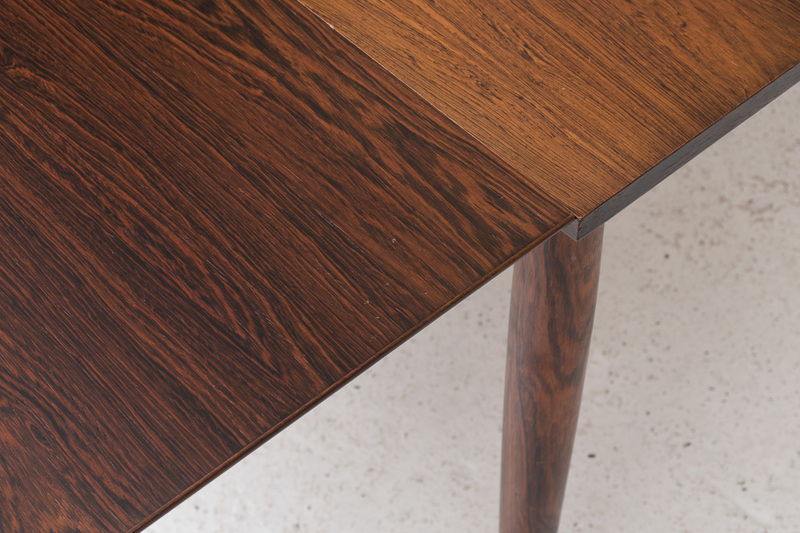 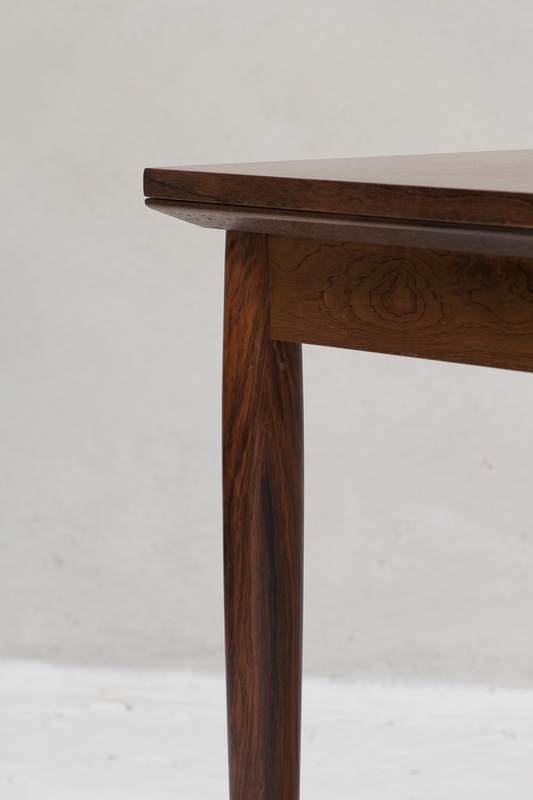 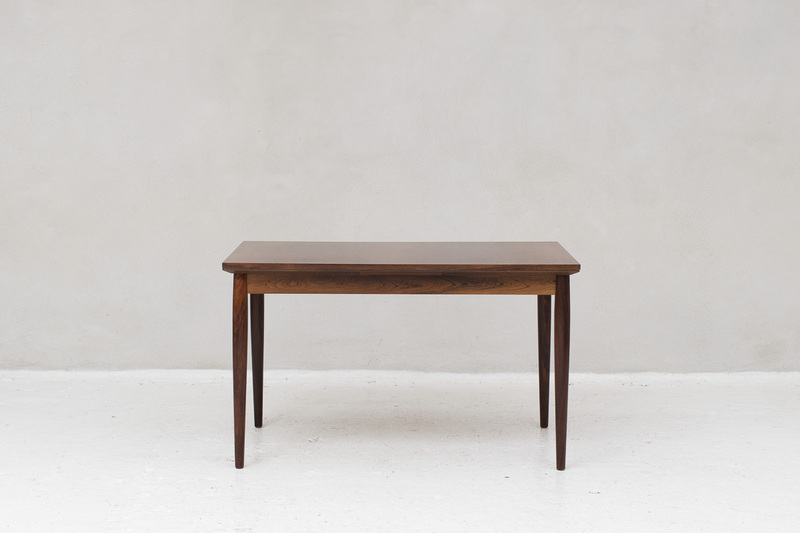 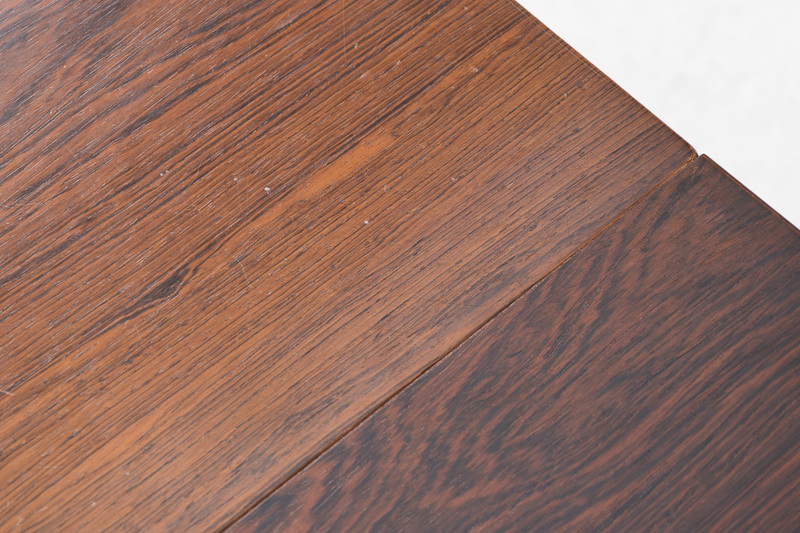 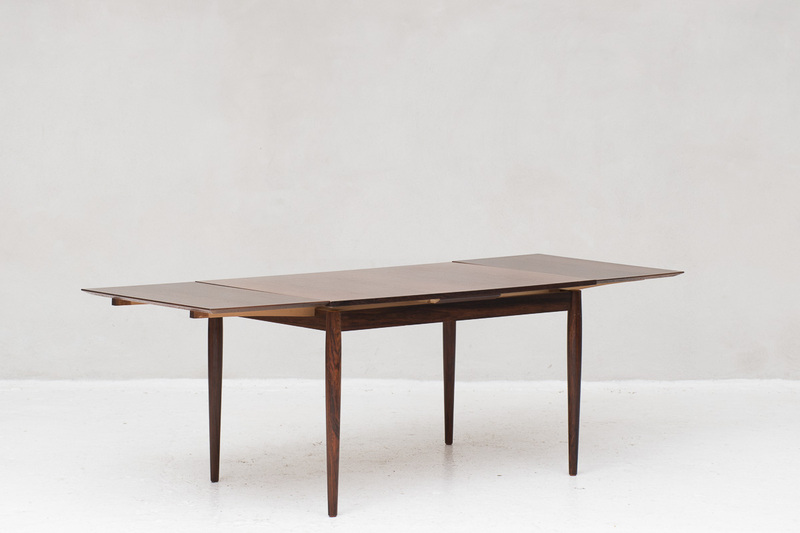 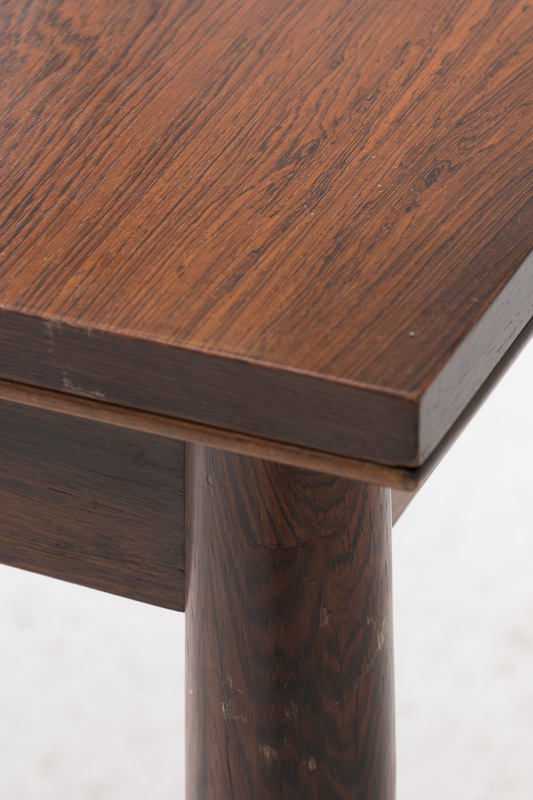 This extendable dining table has a tabletop in a grainy rosewood pattern. 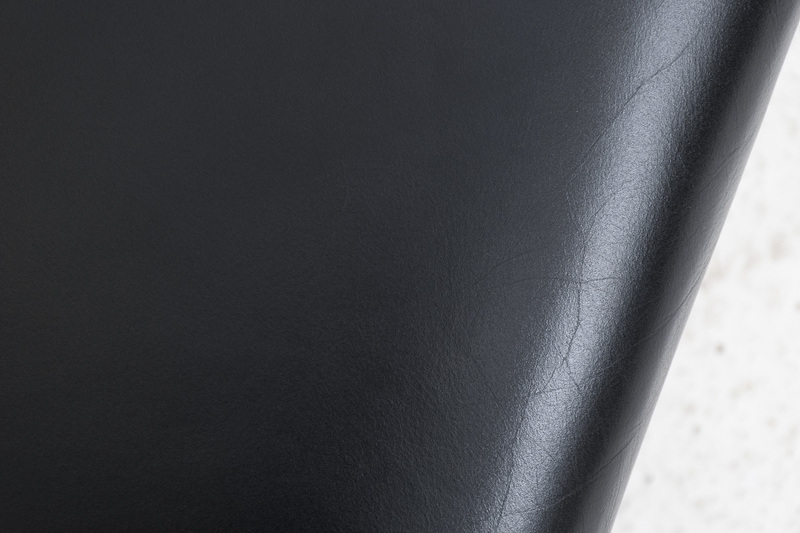 The legs can come off. 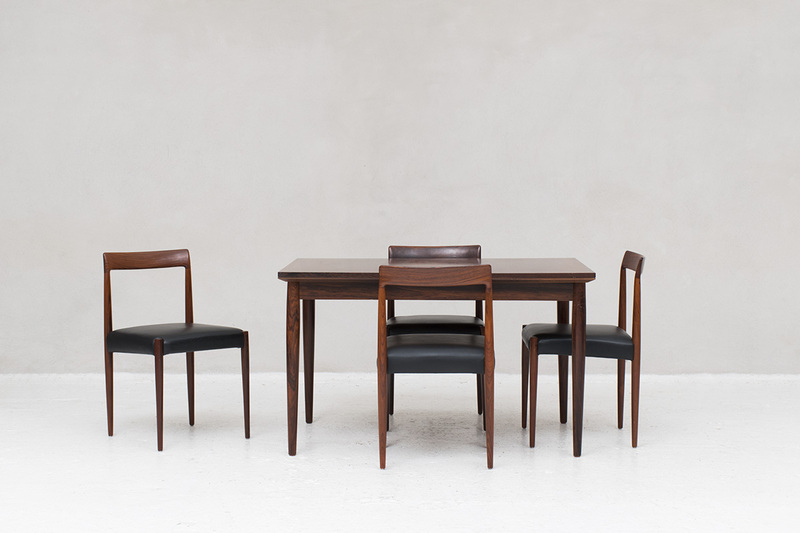 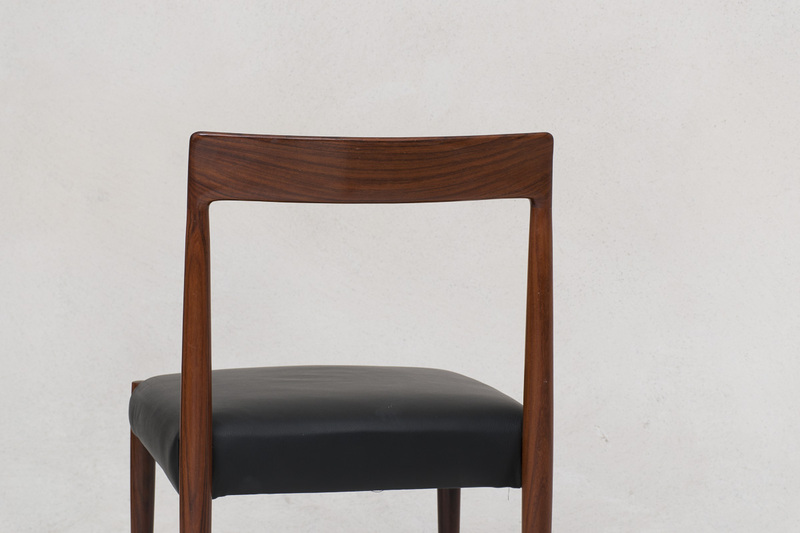 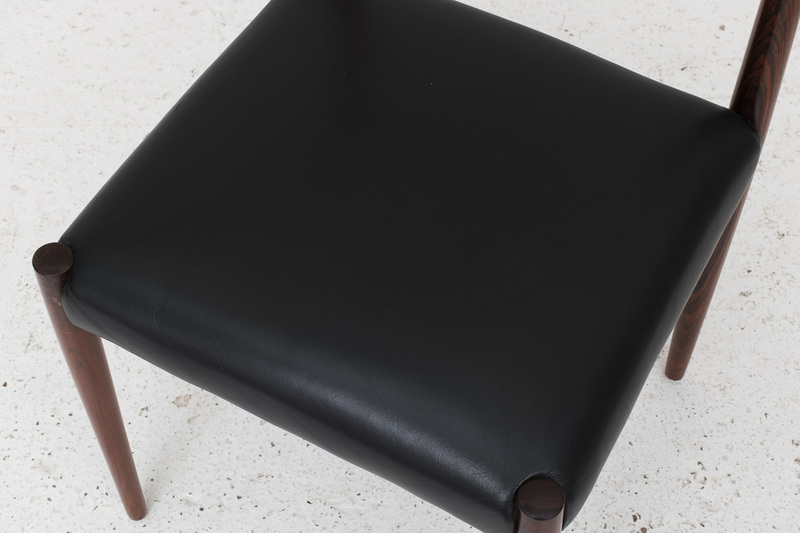 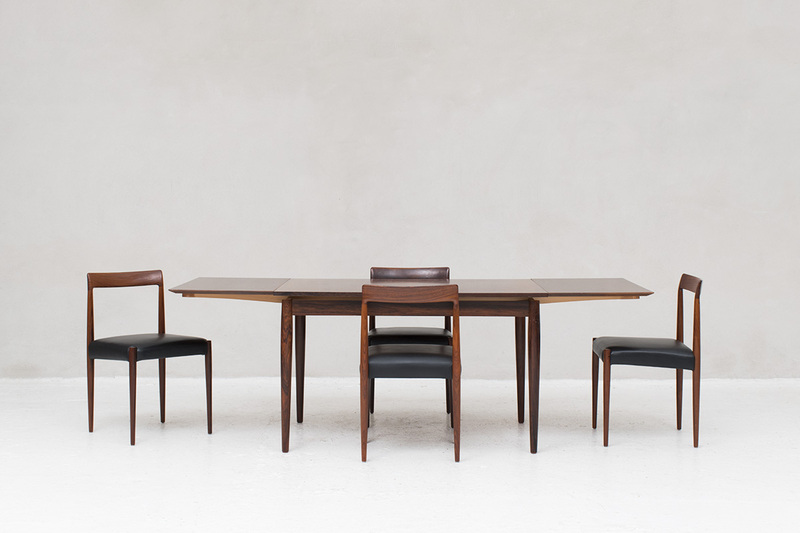 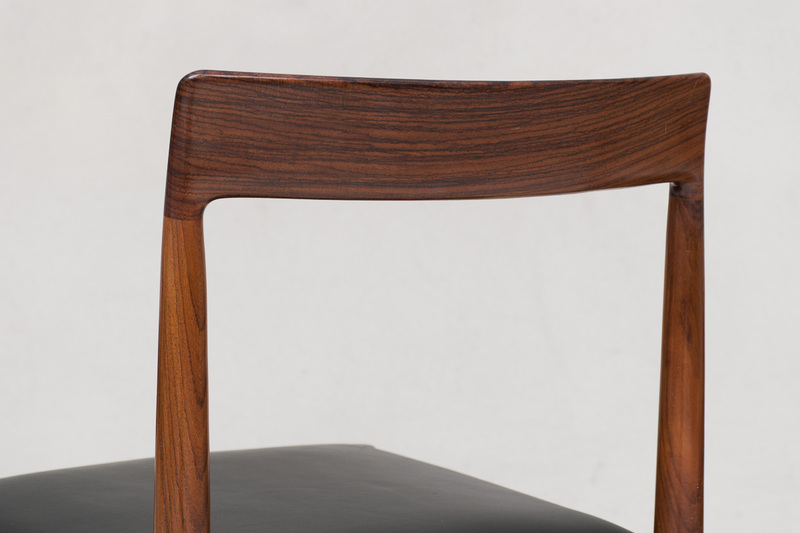 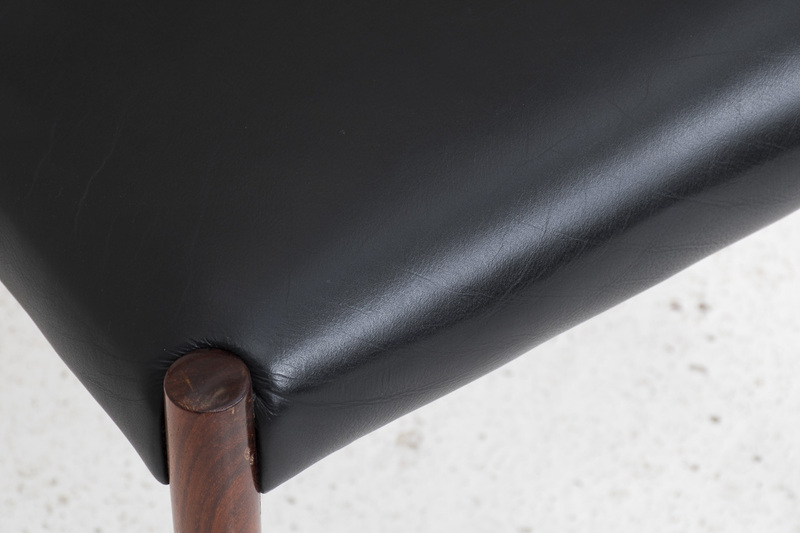 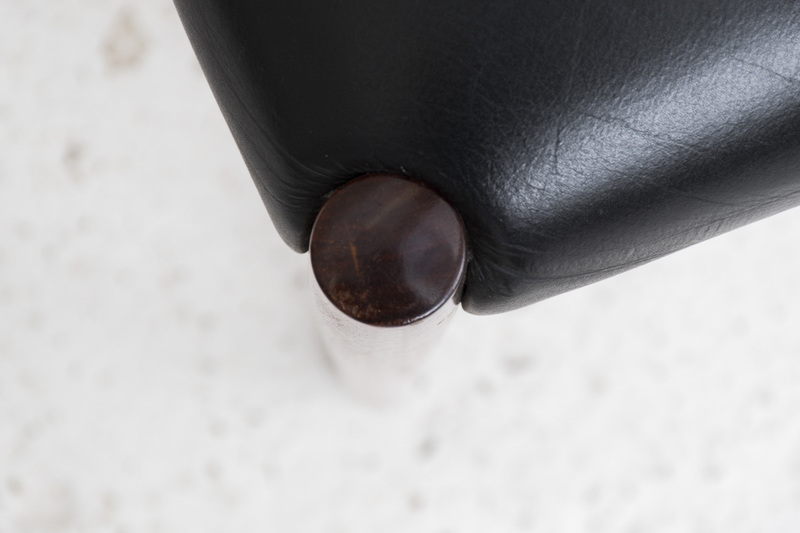 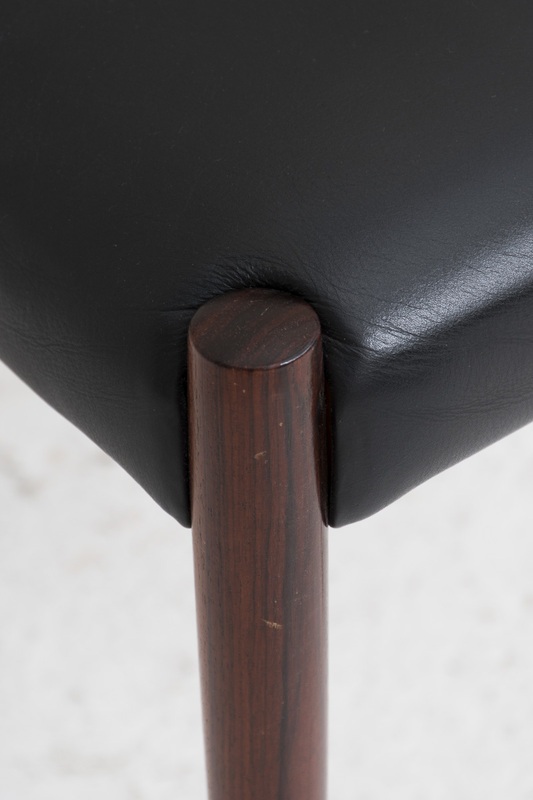 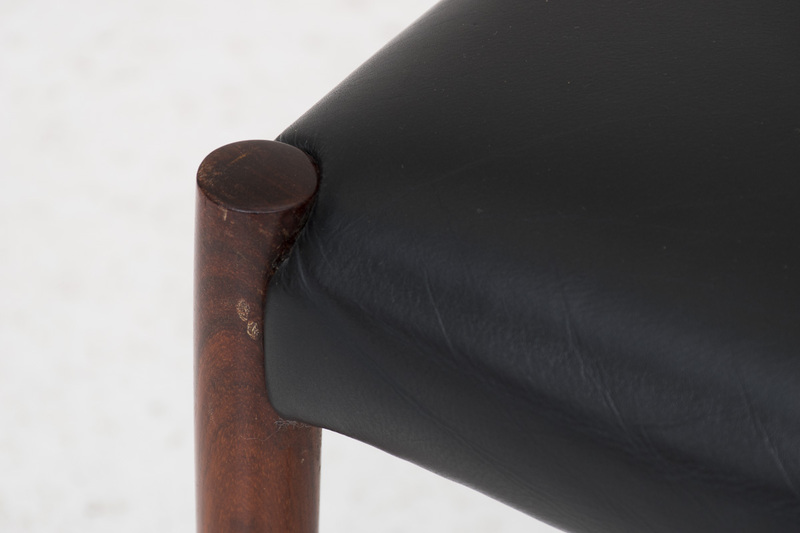 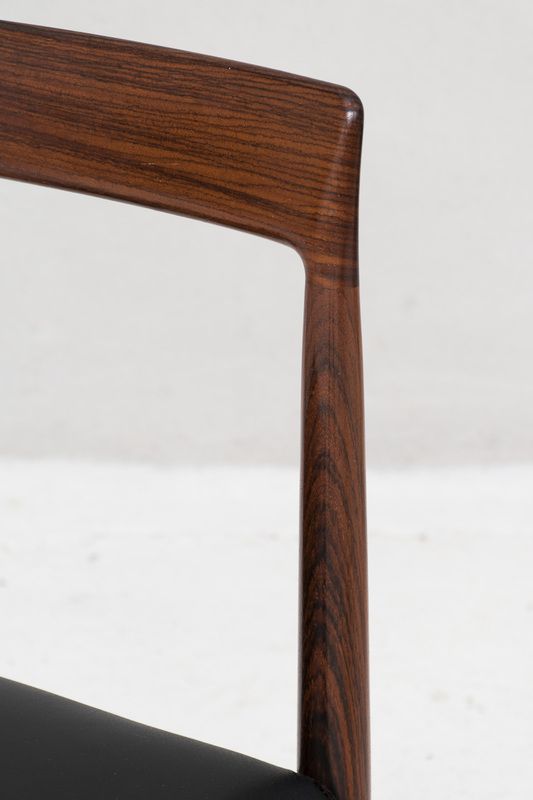 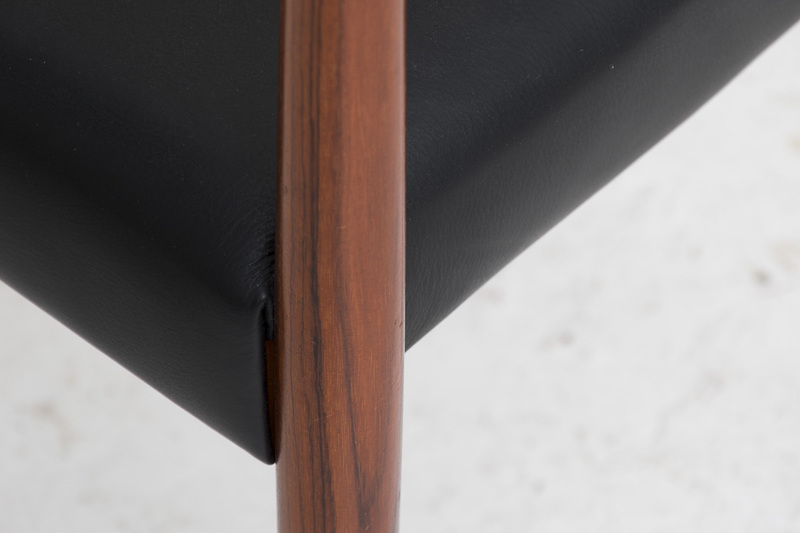 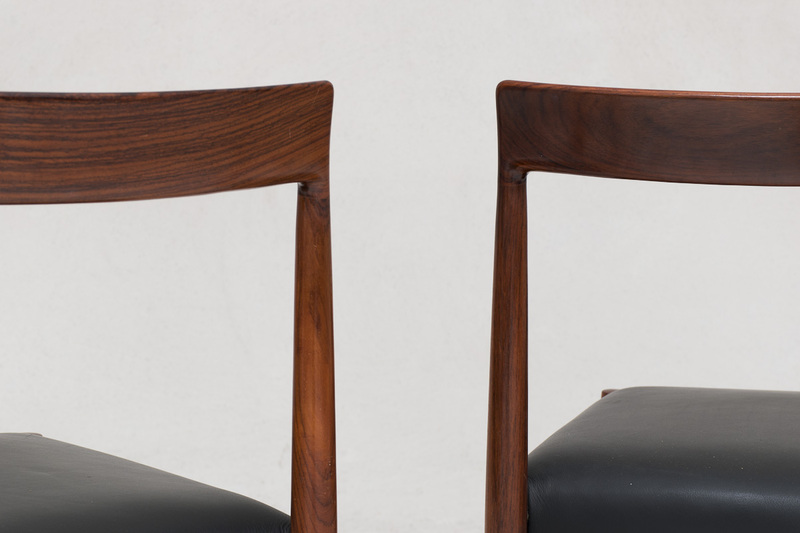 These 4 dining chairs feature slim legs, minimal back rests and black skai seating. 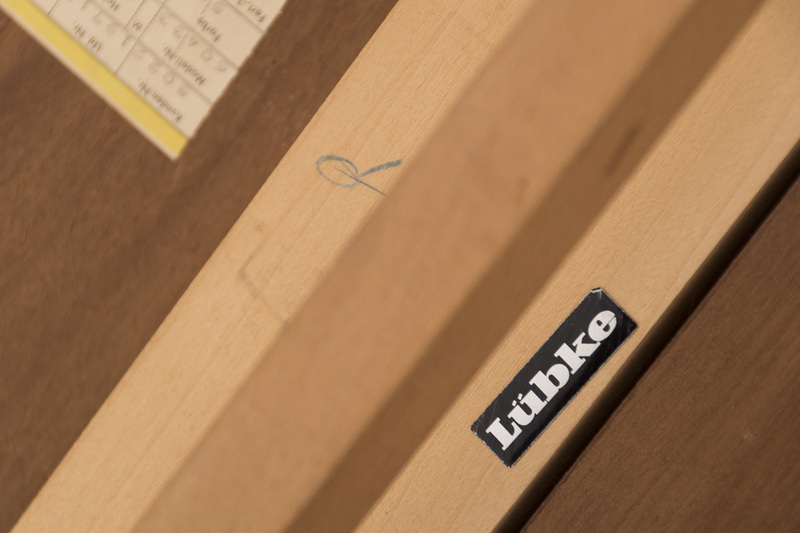 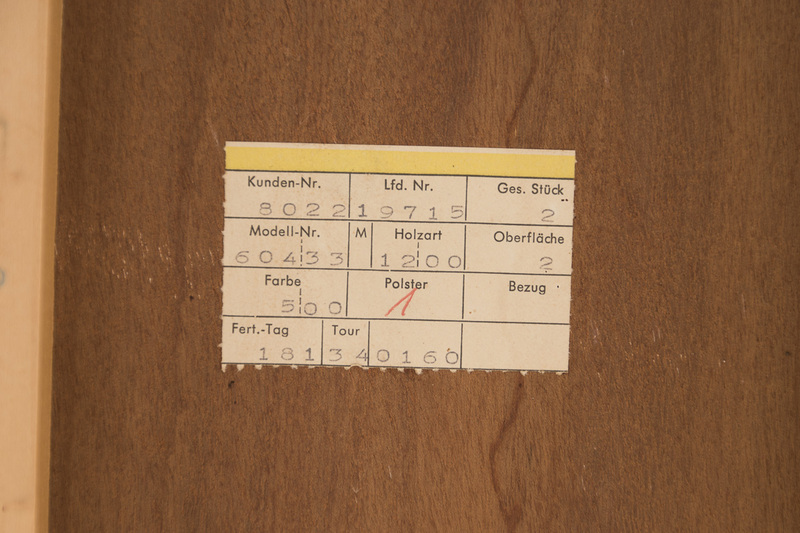 The whole set is in very good condition and carries the Lübke label.